Look, Mom, someone I don’t know yet read my book! I’m having a BlackFriday sale! Now through Cyber-Monday, you can get my new book, What’s That, Mom?, for 20% off (Amazon only). We interrupt our move to California to let you know that the first installment in the Caterpickles Parenting Series is now available. That’s right, y’all, my book’s out. 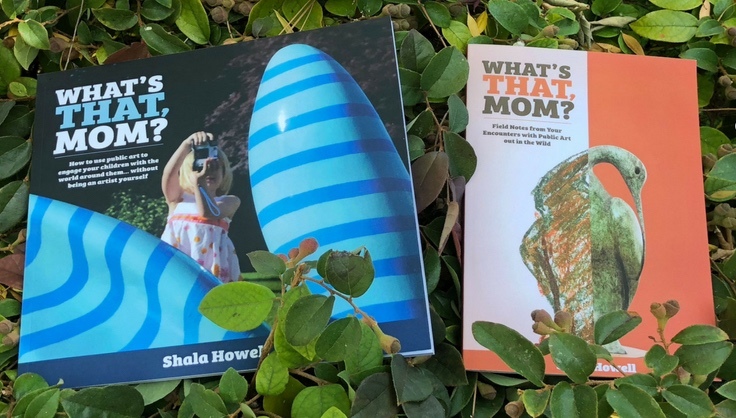 Short and sweet, What’s That, Mom?, contains 15 accessible, practical strategies for using public art to spark conversations with kids ages 3 – 10 — no artistic talent or insight required. As some of you know, I’ve been working on a series of books on how parents can foster their children’s curiosity. The first book in the series, The Caterpickles Bunny Book, talks about how parents can use public art to nurture their child’s love of art, without being an artist themselves. I plan to release the book this summer, but first I need your help. I am looking for 3-5 Caterpickles readers to serve as beta readers for the Caterpickles Bunny Book. If you’re interested, please leave a comment or email me.